If you are new or already members of Elegant Themes, let’s start with the new visual builder first. Divi 3.0 introduces a new way for site owners to create WordPress pages visually on the front-end of their website. Try The Divi 3.0 Demo For Free Right now! To celebrate this hard work and a great achievement, Elegant Themes is offering a big 20% discount on all new developer memberships and all account upgrades. With the builder active, your WordPress pages become editable using Divi’s vast array of content elements and design settings. Dragging, dropping, resizing, copying, pasting, deleting and duplicating elements is also easy. You can click on any section, row or module and edit the element’s settings, start typing, highlight text and adjust its font, size, and style, or open up the settings for any element and change its content, appearance, and positioning just like you would in the current builder. Add content, customize the design, type directly on the page and watch everything happen instantly right before your eyes. For many developers and content publishers, on-page editing is the holy grail of tool-design. So what is it? Let’s see how the new visual builder looks exciting in their presentation video. Editing a module and seeing the results immediately on the page is a huge boon to designers used to working in dedicated graphics applications. When you make a change, it happens instantly (and I mean instantly)! The page feels alive as you explore the color picker and watch each glowing transformation. You can instantly make changes to your site and see them exactly as they’ll appear live. Adding content to your page couldn’t be easier. If you want to add something new, simply hover over the desired area and click the “+” button and you will be greeted by a list of Divi’s 40+ content elements. These elements include bar counters, blogs, audio, buttons, blurbs, and a rich variety of others. They don’t need to be dragged and dropped from a dock because they are always available and easily accessible. Like the previous versions of Divi, all the page elements are represented by blocks. You can click on any of the rows or modules to edit them right there in the preview. Simply add, mix and match content and watch your new page come to life. No coding; no plethora of disjointed plugins; just click and build. 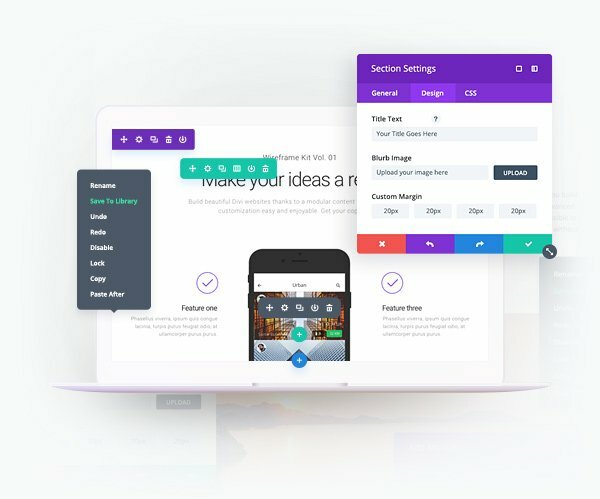 No matter what kind of website you are creating, Divi has the tools you need to make your vision a reality. Divi comes with over 20 pre-made layouts right out of the box. These beautiful layouts can be used to jump-start your new projects, allowing you to build new pages in just a matter of minutes. Load them up, swap out the content and you are good to go! They are also a great way for new customers to learn the ins and outs of the Divi Builder. 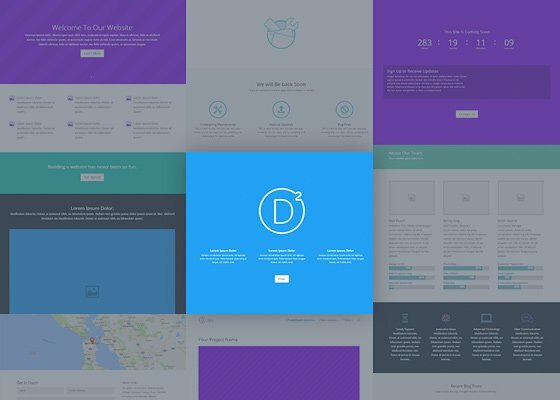 Here is our collection of FREE Divi Pages Layout Kit which created and shared by Elegant Themes. They separated in multi blog posts then I find and listed here for you. If you missed any of the incredible resources released during the 100 Days of Divi Marathon, check out the list below for links to each and every one of the blog posts. 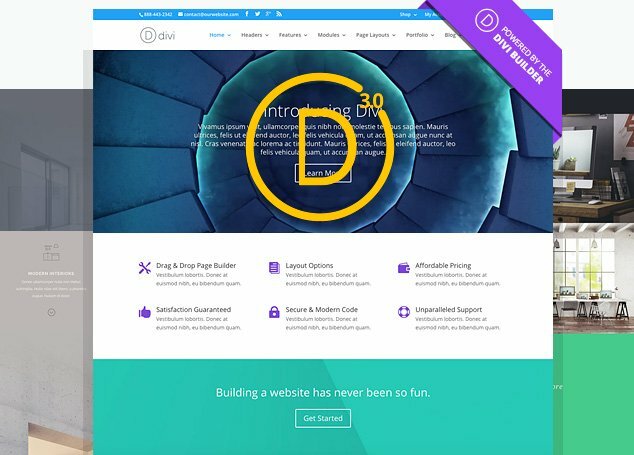 Launching today, Divi 3.0 is a must-have upgrade for Divi users. As I said, I’m not interested in multi-purpose WordPress themes but the Divi has changed my point of view. When I started with Divi last year, my secret wish was for the sort of visual editor they have, and which you are soon to release. 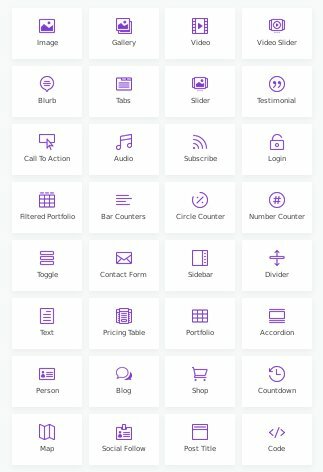 Divi is the Ultimate Multi-Purpose Theme fit for just about any occasion and powered by the Divi Builder. It’s the most versatile theme they have ever built, and quite possibly the only theme you will ever need. And for this reason, I am recommending Divi all the more in FB groups I belong to. Grab it while you can. Are you going to give Divi 3 a try? If so, what do you think? Easier than Wix? Easier than other themes on WordPress? Share your comments below and tell us about your experiences with Divi 3.0!